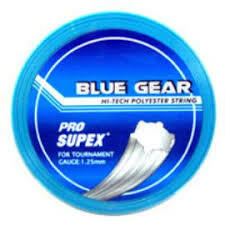 For the last two years, Pro Supex Blue Gear has been the leading co-poly for spin development. Tennis players all over the world rave about the spin afforded by Blue Gear. But what really seperates Blue Gear from other deformed polys is that it offers a powerful punch in addition to its spin characteristics. Using special chemical additives, Pro Supex was able to make Blue Gear softer than many co-polys. The hex shape combined with extremely rough edges makes Blue Gear a true winner! Many companies have attempted to copy Blue Gear yet none have achieved a string that produces as much spin as our beloved Blue Gear. 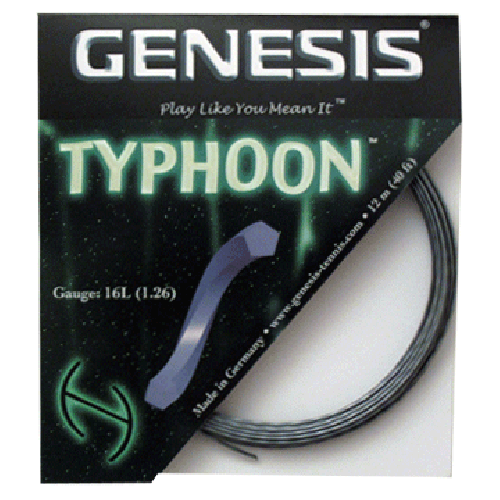 Offered in 3 gauges and 2 colors, you are bound to find a combination that suits your taste. For more information, please click here.